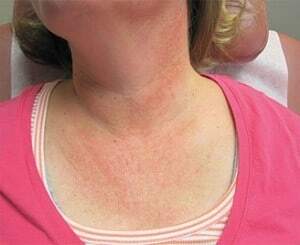 This patient had a common complaint relating to excessive redness in her decollete. This was caused by an excessive amount of vascularity just under the surface of the skin. 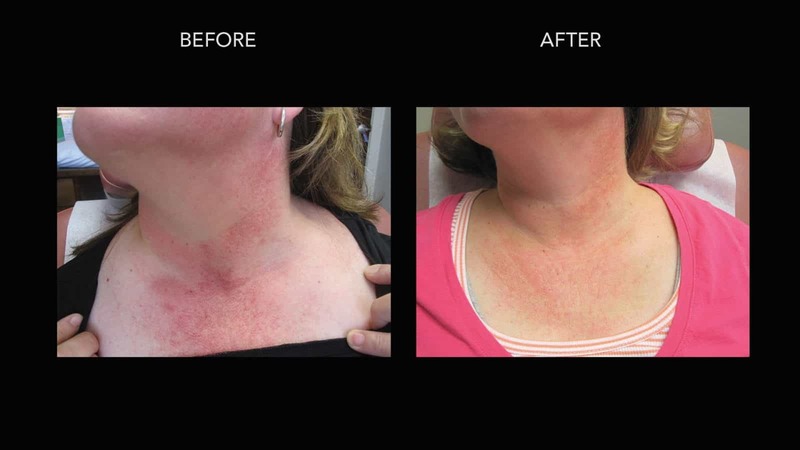 Treatment for her condition was vascular laser treatments to significantly and drastically decrease the amount of vessels contributing to this unusual location of redness.